The centrepiece of the Triflex ProDrain® ancillary system for balconies is a self-supporting decoupling sheet. It is the reliable, clean solution for soiled, cracked substrates which have been penetrated by moisture. 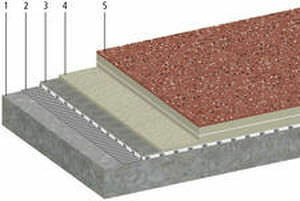 Triflex ProDrain® ventilates the damp substrate, protecting the building structure. 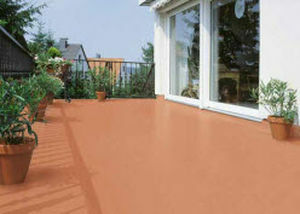 The system was specially developed for use on damp substrates. The advantages are plain to see: there is no need to completely remove the old covering, which makes this an economical and quick solution, as well as sparing the user a lot of dust and noise.